Everyone has heard the phrase “You are the Brand” to describe how we present ourselves to prospective and current clients, but what does that really mean? How do you translate your brand into an effective marketing campaign to drive new client growth? The simple truth is that your brand is real and the core of your practice as a financial advisor. How do you create a brand that resonates with clients but is still true to yourself? It is not complicated, and along with a firm that is focused on maintaining you at the forefront of their brand, it can be the most powerful marketing tool you have in your arsenal. Your brand must start and end with who you are. What networks and organizations are you an active member of? What hobbies are you passionate about? This must be the first step because you do not have an unlimited marketing and advertising budget. An effective strategy is to take a personal inventory of who you are and make that the centerpiece of your personal branding. At Brighton Securities, this is the first thing we address with our advisors as we guide them through the process of creating their personal brand. Don’t force yourself to be someone you’re not. I am not a gifted athlete, no matter how much I may want to be, so maybe I should rethink making that a central part of my messaging to clients. Own your strengths as well as your quirks. Make sure that your messaging reflects the version of you that you want to be in front of your potential clients. 3) Be True to Your Clients. You may think that the people that promise the most to their clients are the advisors that grow their practice the fastest. That is only half true, you must deliver on each of those promises to your client. If you promise that you will meet with your clients on a monthly basis, the worst thing you can do is fall short of that promise. For every successful advisor there are dozens of advisors who oversold themselves and could not consistently deliver results to their clients. While it is important to work for a firm with a strong corporate brand, make sure your face is a central part of your brand. At Brighton Securities, we make sure that our advisors are front and center in our advertising campaigns because we know our brand, and our brand is our people. 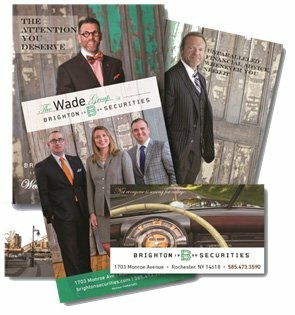 Whether it is our television ads, print ads, or community sponsorships, if it has our logo on it, our advisors are a central part of that messaging because we know that clients must trust their advisors just as much as they trust Brighton Securities. Now that you have created your personal brand, and you are front and center, how do you execute? 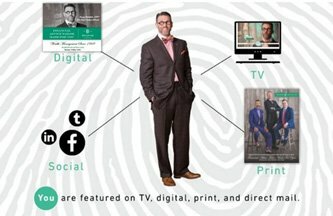 At Brighton Securities, we work with each one of advisors to create a customized advertising campaign that fits with each of their unique brands. That encompasses social media posts, television advertising, printed materials, relevant “swag” to hand out at client focused events, charity event sponsorships, and any platform that gets our advisors brand in front of current and potential clients. Ask yourself - “Is my firm putting me at the forefront?” Is Brand You the core of your marketing plan to clients? If not, why not? Maybe we can help. My door is always open for a conversation about what Brighton Securities can do to help you drive Brand You.